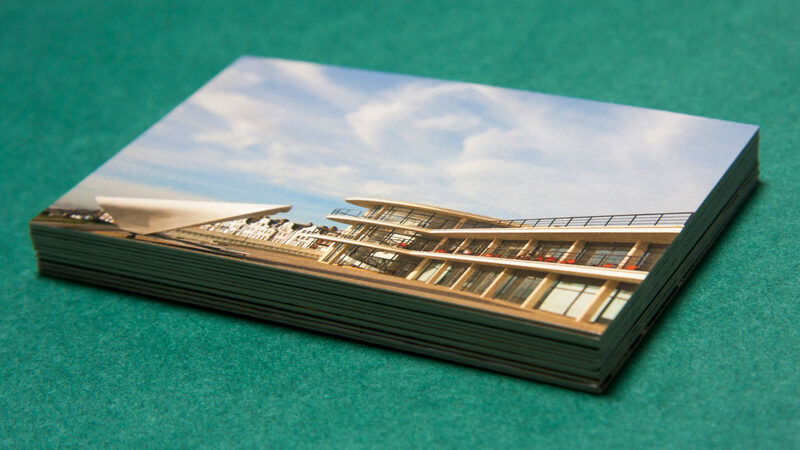 The De La Warr Pavilion (DLWP) is a celebrated centre for contemporary art and entertainment on the south coast of England at Bexhill-on-Sea. It is also an internationally famous Modernist structure, built in 1935 to the design of émigré architects Erich Mendelsohn and Serge Chermayeff. 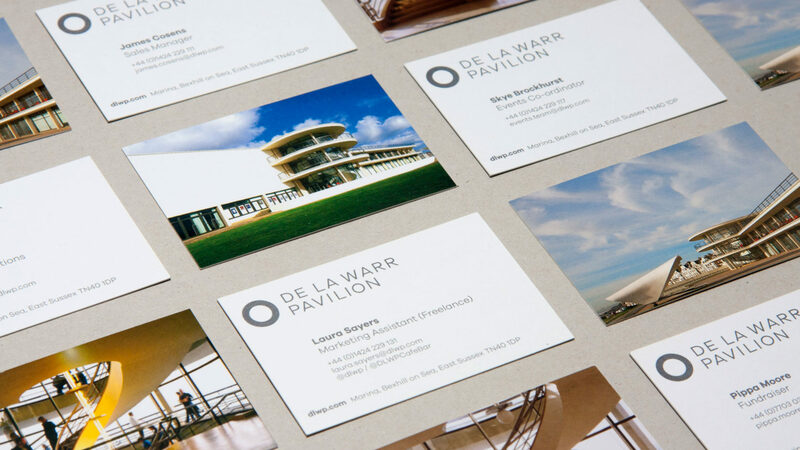 Eighty years on, The De La Warr decided to commission a review of its brand to ensure its fitness for the future. 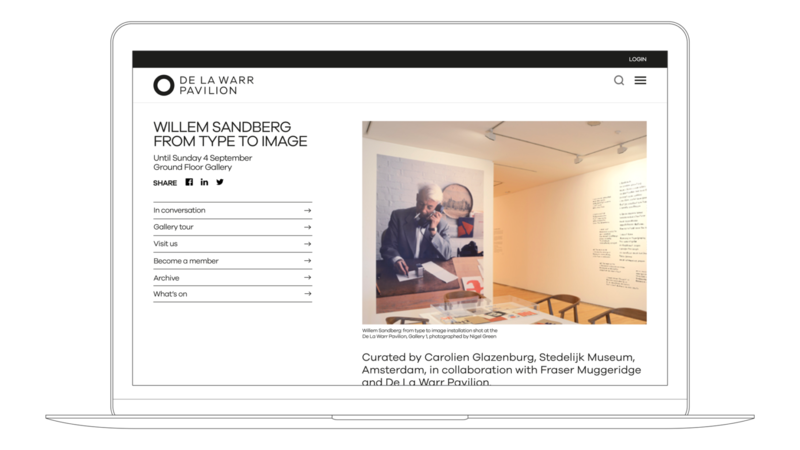 Coinciding with the Pavilion’s anniversary the brand programme aims to reconnect the DLWP with its roots as a democratic Modernist space for people to experience contemporary art, culture and entertainment. 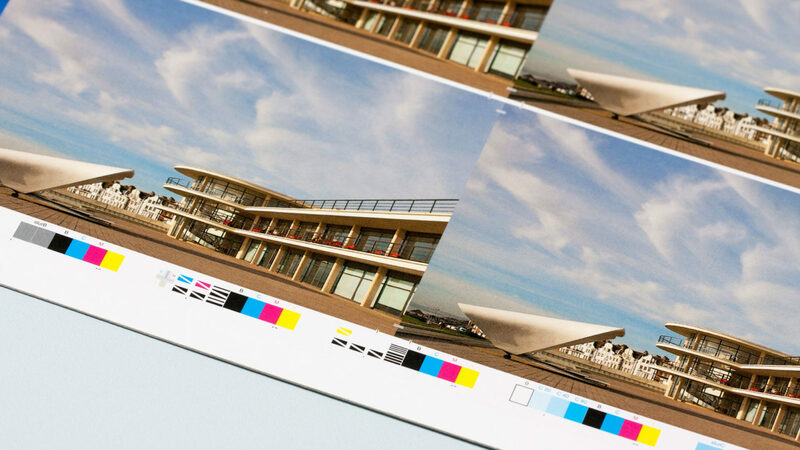 Over the years design standards and focus had drifted away from the original spirit of the place and clearer direction was needed. Only a comprehensive review of positioning and identity would allow the Pavilion to move forward with its original confidence. 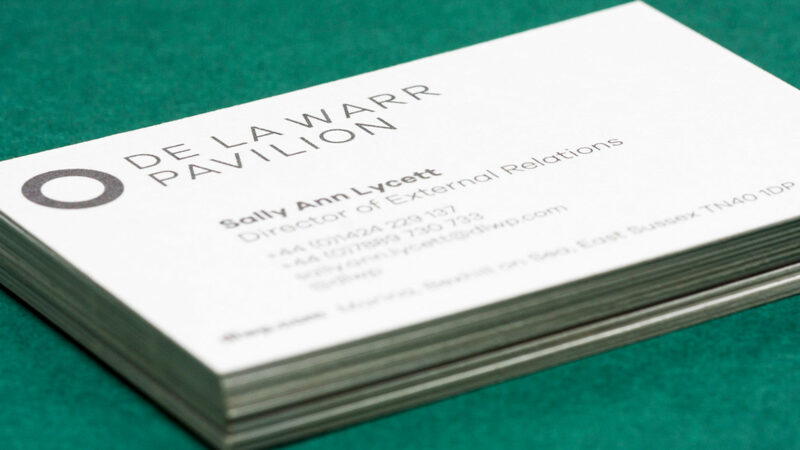 A key objective was to express the individual facets of the Pavilion, from comedy and music events to contemporary art exhibitions, and its facilities from its Café Bar & Kitchen to its Learning educational programme. The project included the design of stationery, publicity and communications to be more accessible and effective in reaching its diverse audiences. 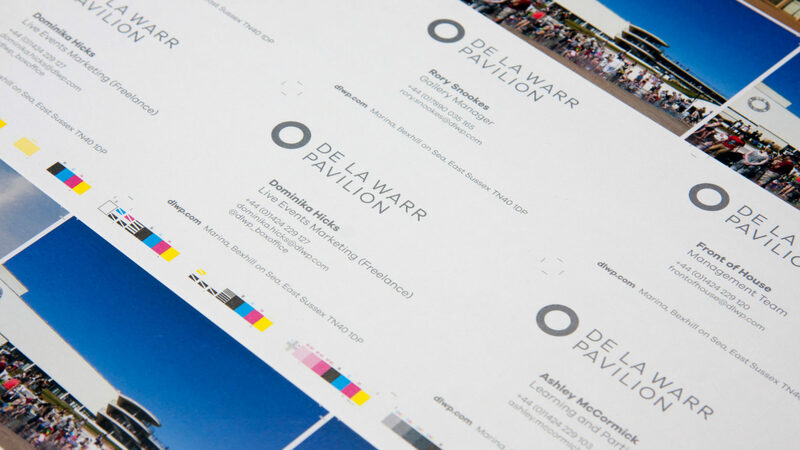 From the outset the process was essentially collaborative: members of the De La Warr Pavilion management team played a vital part in reviewing the existing communications, shaping the brief and debating brand positioning options. Everyone agreed that the brand had to successfully build on the reputation it had established while remaining grounded in the innovative spirit that first made the Pavilion possible. At the same time the brand programme was planned to help communicate a consistent message across all media and platforms. Just wanted to say well done to you all for a fantastic brand launch this week! I’ve had nothing but great feedback. 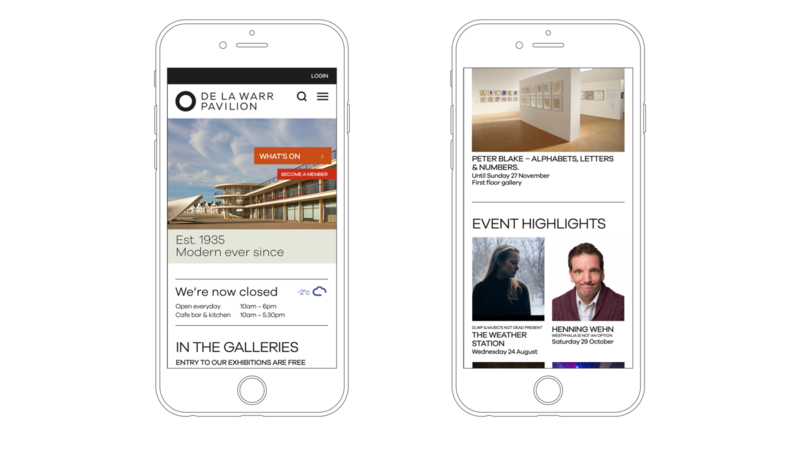 The De La Warr Pavilion aspired to radically upgrade their current website to offer an intuitive and engaging experience – as good as, if not better than, the best comparable arts venues. The site needed a stronger commercial focus to encourage ease of booking, buying and donating. The project was fast track and included a new ticket booking system as well as a revised architecture and content. While recognising that all aspirations may not be achieved in the first phase of the website development it was seen as an opportunity to ask the public to feedback during its beta phase. 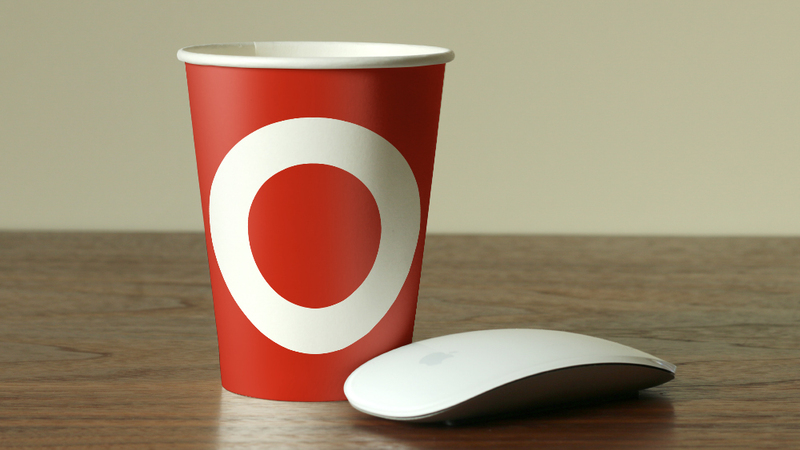 promote Shop sales and Café Bar & Kitchen and venue usage. Part of our work was to do a full review of how users already use the website and how this has changed over the past few years and what the predictions on usage might be in the future. We undertook full staff consultation to inform us of what key areas of the organisation needed from the site. 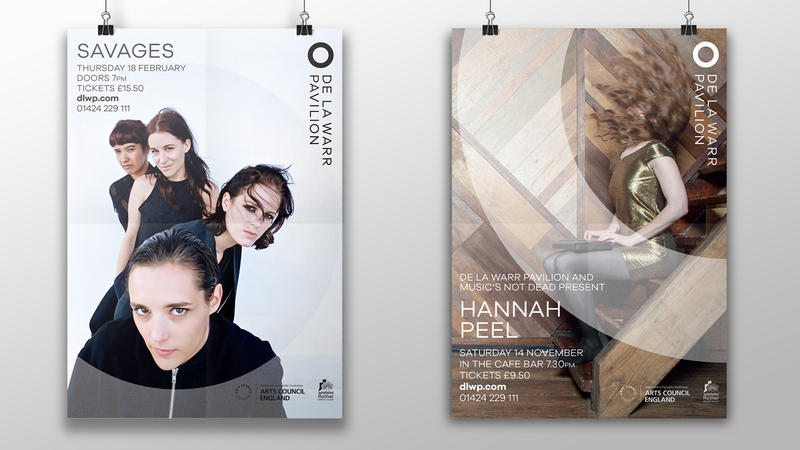 Playne Design are not just designers. They are experts in finding fresh and innovative visual and language solutions to those difficult but important communications. 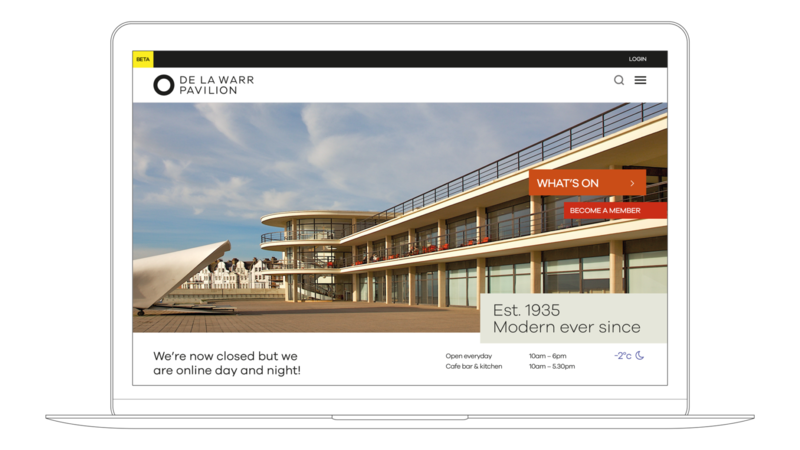 For De La Warr Pavilion they worked closely with us to really find out what we needed to future-proof the organisation and communicate with our audiences. Their professionalism, dedication and attention to detail made them reliable and trustworthy partners.